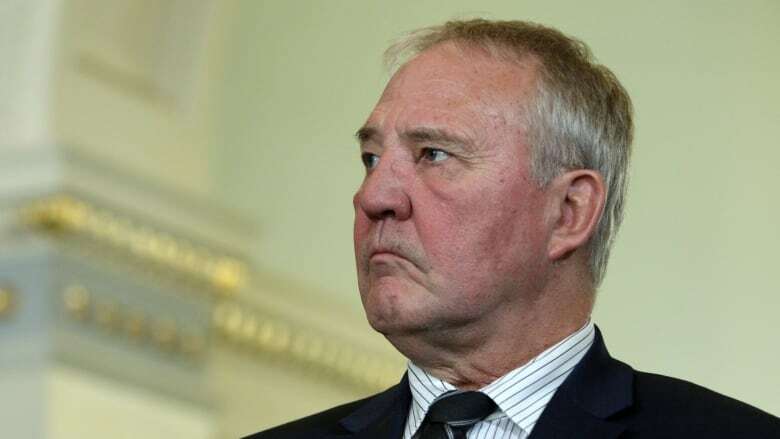 "Canadians expect us to take the time to do it right and I've been doing my very best to take that time," the former top Toronto cop told a Senate committee studying Bill C-71 Wednesday. "As everyone can appreciate, this is a very complex discussion. We've looked at a number of ways we can maintain public safety but my job was also ... and it's an important caveat that the prime minister put on my mandate ... to conduct that examination in a way that was also respectful of those Canadians who do responsibly own those firearms." Blair said he and his department are still engaged in an "exhaustive examination" of handguns in Canada. Blair initially said he would finish his consultations on the subject by the end of 2018. When asked by Independent Sen. Marilou McPhedran if the government's promised report would be made public by the time Parliament rises at the end of June, Blair hedged. "As quick as I'm able, ma'am, but I can't give you a time," he said. Bill C-71 is considered by many gun control advocates to be a relatively modest set of reforms to firearms law. Blair suggested Wednesday that if the Liberal government can't do more on the firearms file this year, he'll try again later. McPhedran said that suggestion was based on an "interesting assumption" — that the Liberals will win the fall federal election. "It's not an assumption, it's an intent," Blair said to McPhedran. "If I can't get it done now, I'll come back and do it later. I know there are people who are saying, 'Just do it quickly,' but frankly I think we should do it right." When asked about the minister's comments, a spokesperson for Blair said: "The government is still planning on releasing the report early 2019." The chances of the government introducing and passing new gun legislation at this late stage of the parliamentary process — with only eight weeks left on the calendar before Parliament rises for its summer break — is next to non-existent. Legislation typically takes months to move through the House of Commons and Senate. Bill C-71, for example, was introduced more than a year ago and is still being studied by the upper house. Heidi Rathjen, a gun control activist and survivor of the 1989 Polytechnique massacre, said failing to produce some sort of legislation on handguns in the government's current mandate would amount to a broken promise. The 2015 Liberal election platform included a commitment "to take action to get handguns and assault weapons off our streets." "They are breaking their word to Canadians. It would be a betrayal for them to simply kick this can down the road and promise something else, again, in the next election campaign," Rathjen said. "The Liberals, historically, have been in favour of gun control and now they're just living in fear of the gun lobby and a small but very well-organized, very aggressive group of voters who speak of gun 'rights.' There is no right to own a gun in this country. "It's extremely discouraging. This government has been dragging its feet. Bill C-71 was only tabled last March  and even that's weak and the bare minimum of what the Liberals should do." To that end, McPhedran has suggested Bill C-71 should be amended to classify all handguns as "prohibited" firearms — the most restrictive classification for a firearm in Canada's three-tier system, a move that would make tens of thousands of licensed owners ineligible and all but dismantle the existing legal supply chain. "A bird in the hand, minister," she said. C-71 includes enhanced background checks for anyone applying for a Possession and Acquisition License (PAL) or a restricted PAL, mandatory record-keeping for firearms retailers, changes to the authorization to transport (ATT) rules, and the reclassification of two types of firearms. Any would-be gun owner in Canada already has to submit to an extensive background check and complete a training course. The Liberal government has faced mounting pressure from gun control groups to take action on the firearms file after New Zealand Prime Minister Jacinda Ardern implemented a sweeping ban on so-called "military-style" semiautomatic firearms only days after a deadly mosque shooting in Christchurch. "New Zealand shows us that if there's political will, political courage, political leadership, a government can move extremely quickly to take action when its comes to protecting public safety," Rathjen said. But Blair said the Liberal government is not interested in implementing a handgun ban in such a short span of time. "I think it's important, before we make a decision on such an important issue of public policy and public safety, we make ourselves as well-informed as possible." Gun rights advocates maintain targeting legal firearms owners, through either C-71 or a potential ban, is the wrong approach given that much of the gun-related crime in this country is perpetrated by criminals using handguns smuggled from the U.S.
Out of all the violent gun crimes in 2017 in Canada, 59 per cent involved a handgun, 18 per cent involved a rifle or a shotgun, 6 per cent involved a fully automatic firearm, sawed-off rifle or shotgun and 17 per cent involved a firearm-like weapon or an unknown type of firearm, according to data from StatsCan.